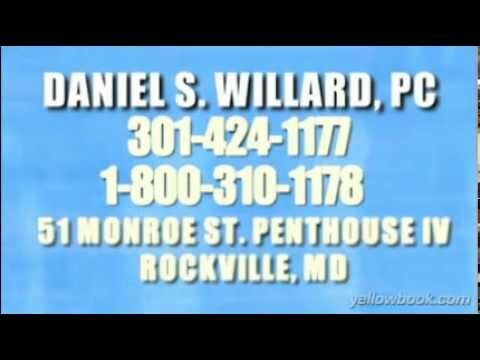 If you are in Maryland or Washington, D.C. and need legal assistance with the complicated areas of wealth management and asset protection, estate planning, or commercial real estate and construction, the Law Office of Daniel S. Willard, P.C. can help with even your most complex case. Our attorneys have more than 50 combined years of legal experience handling cases throughout state and federal courts. Representing businesses and high net worth individuals throughout Maryland and Washington, D.C., we strive to find simple solutions to all of your legal problems. Experienced legal counsel — With more than 50 combined years of legal experience, we’re able to find solutions to your problems that other less experienced attorneys are not able to discern. Ethical representation — We fight hard for every client, while also upholding the ethical principles of the law. We offer fees that are advantageous when compared with those of larger firms offering the same areas of practice. Award-winning legal service — Attorney Dan Willard is AV® Preeminent™ Peer Review Rated by Martindale-Hubbell®, the highest rating available, for legal abilities and adherence to ethical standards. This is a symbol of the entire firm’s dedication to our clients’ satisfaction. If you are in need of an experienced law firm in Maryland, call our office at 240-483-0725 or contact us online today to schedule a free consultation. Our office is conveniently located in Bethesda, Maryland.